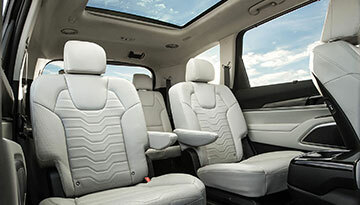 Our new and used Cookeville, Tennessee, Kia dealership invites all those who are interested in securing a versatile new ride to stay in touch with our dealership for important 2020 Telluride model release updates! This large SUV will boast the capability and technology features drivers crave, as well as a number of active safety systems so that all occupants can enjoy on-road peace of mind. From its 3.8-liter V6 engine to its ceiling mounted climate vents and Safe Exit Assist, this ride delivers! 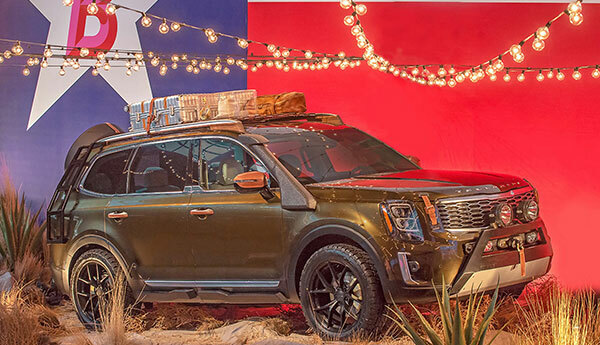 Prepare for the upcoming release of the Telluride with help from Cumberland Kia, value your trade-in today. When the time comes, our Kia dealership near Sparta, TN can even assist with your auto loan needs. 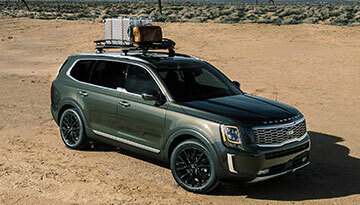 Don't miss your chance to secure a vehicle that features a Blind Spot View Monitor, LED headlights, a Kia signature tiger-nose grille, and Torque Vectoring Cornering Control, let our sales department know you'd like to be informed as soon as the 2020 Kia Telluride becomes available!